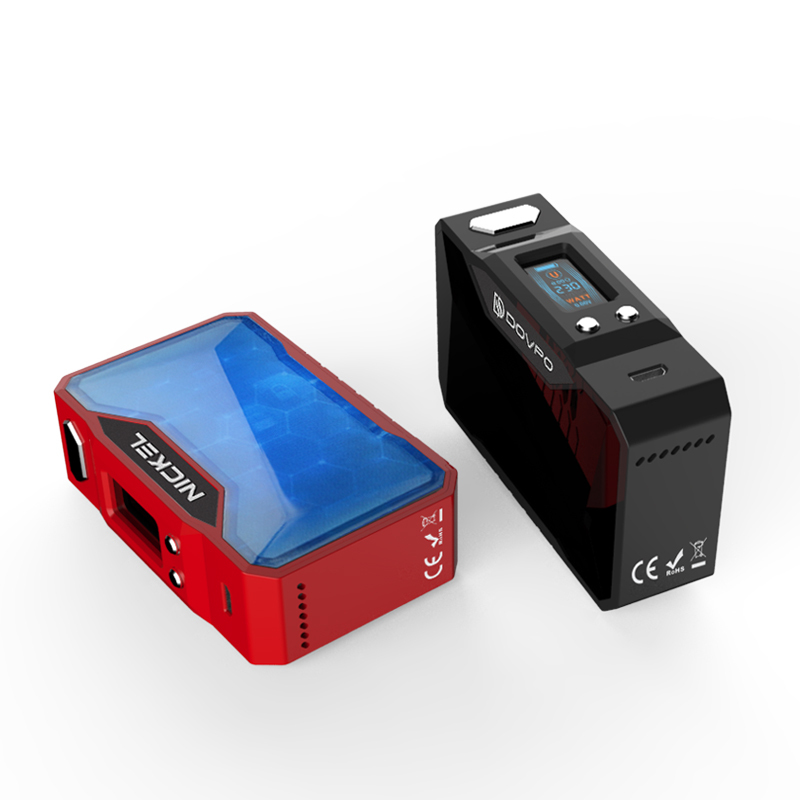 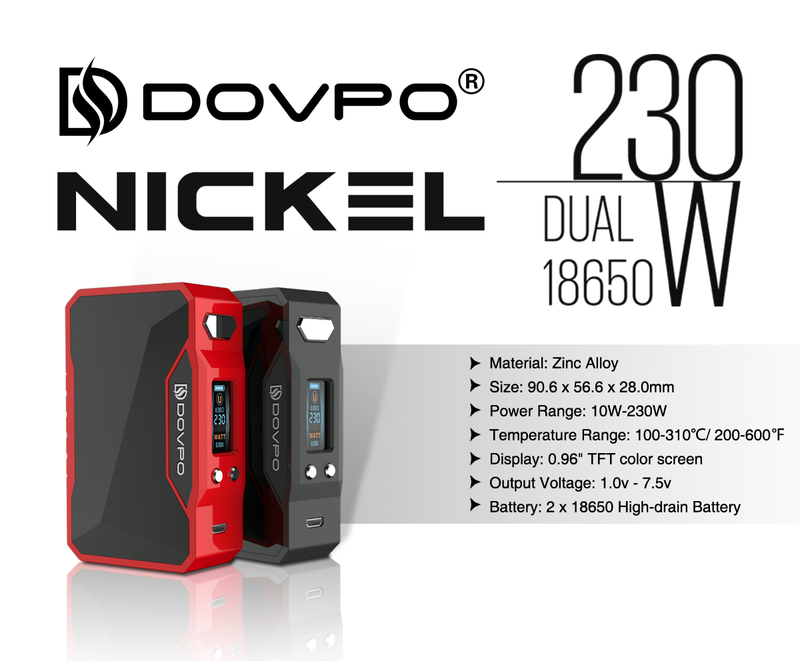 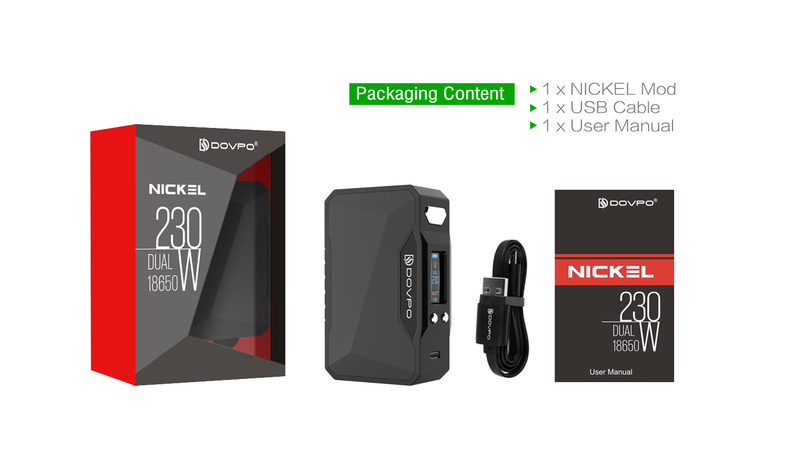 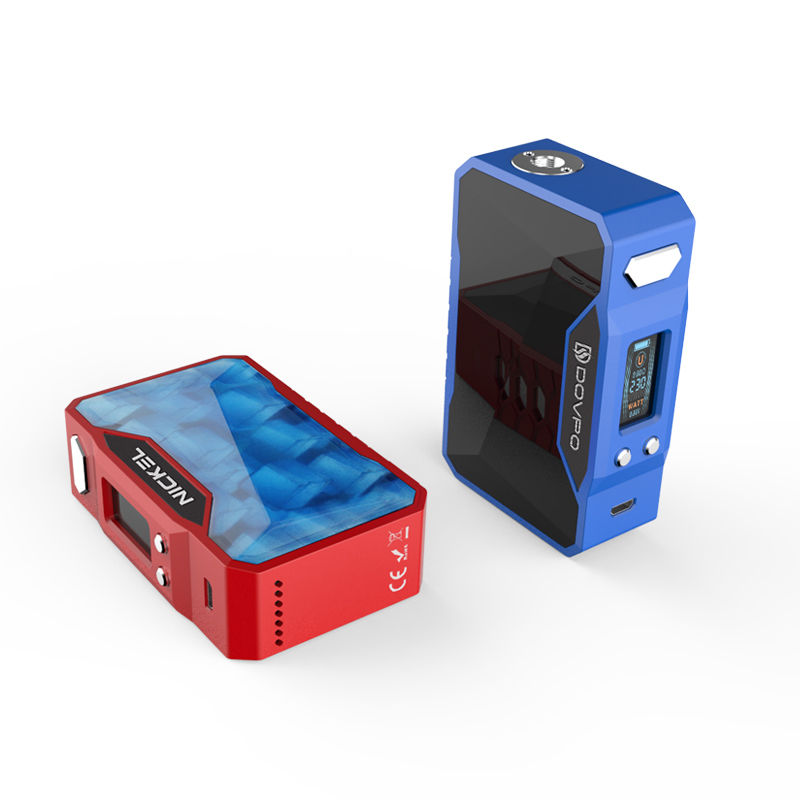 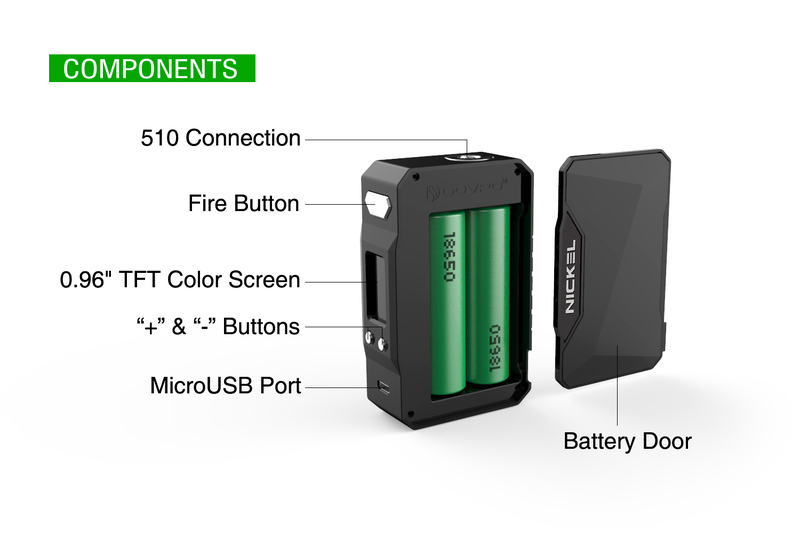 The Nickel 230W box mod the latest creation made with love by Dovpo. 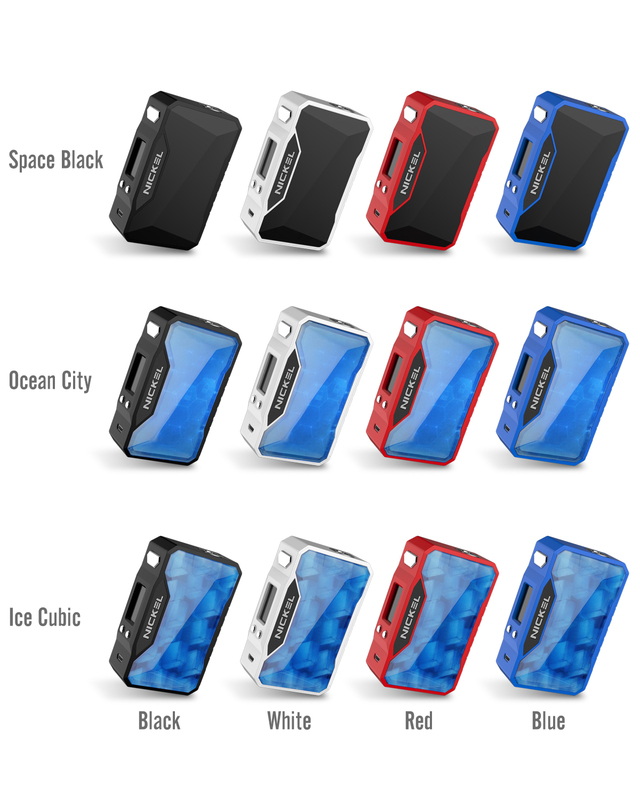 Multiple features for different vaping experience and taste. 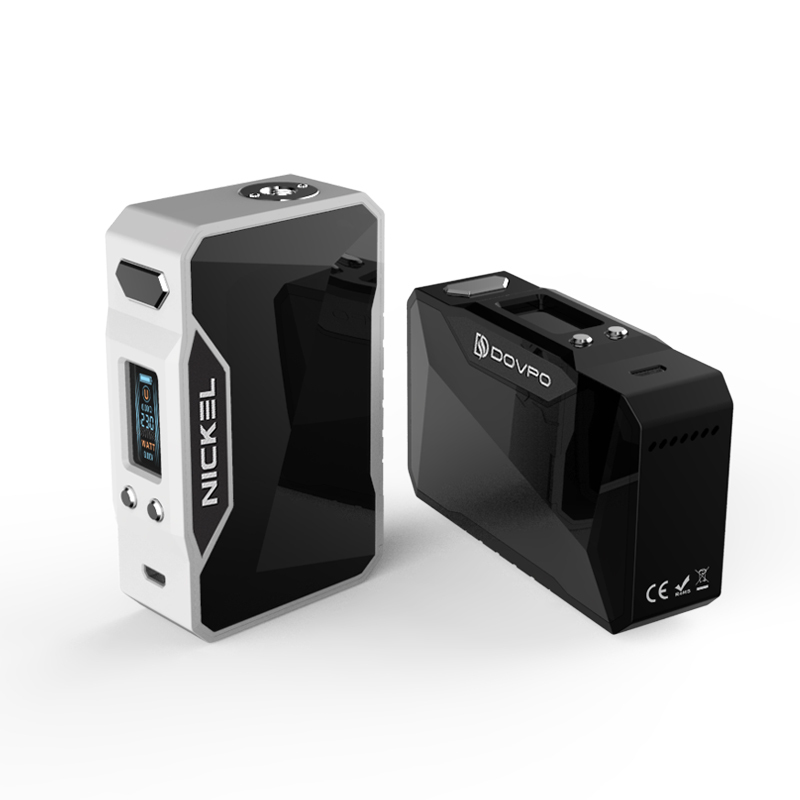 Vapers can easily adjust the settings according to their taste and enjoy the vaping experience with the Nickel. 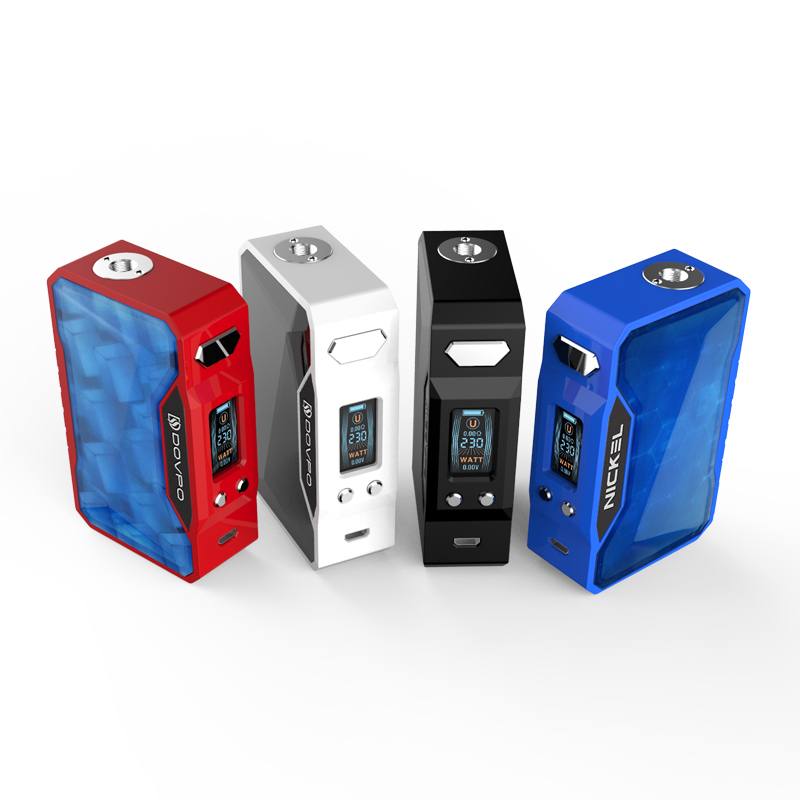 Full Zinc body with PC material on both sides. 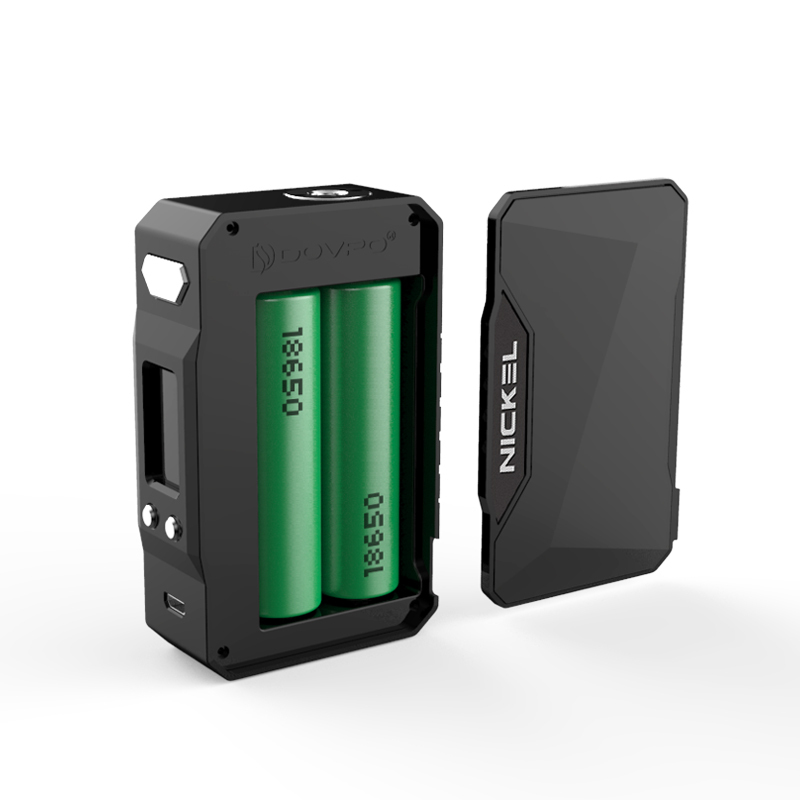 Inside structure is plastic and have ventilation on side and bottom, so Nickel stays cool all the time while vaping. 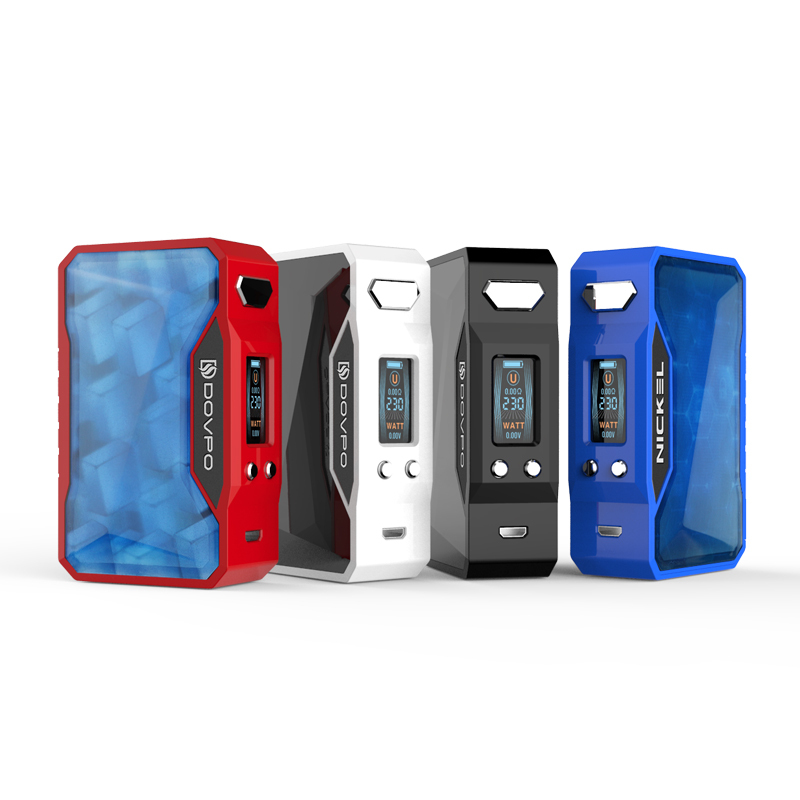 It has wattage mode, Titanium, Nickel, Stainless Steel and TCR in Temperature Control Mode, apart from that it offers some more key features like you can choose normal, soft, hard and user preheat options on top of the variable features.